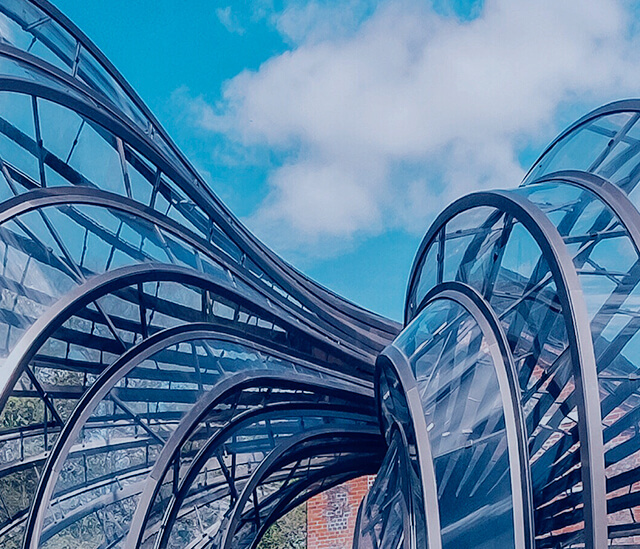 Learn more about Bombay Sapphire’s gin distillery and history. Laverstoke Mill is faithful to a unique gin making process and to a recipe that is based on a secret one dating back to 1761. Our spirit of innovation and inspiration is not only embodied in our gin, but in our Master of Botanicals himself, Ivano Tonutti. Travelling to the four corners of the world, he’s developed personal relationships with each and every supplier, some going back decades. As Ivano himself says, this absolute attention to detail is “simply about maintaining the standard of care behind our gin". Creating the finest gin possible takes the highest quality raw ingredients. 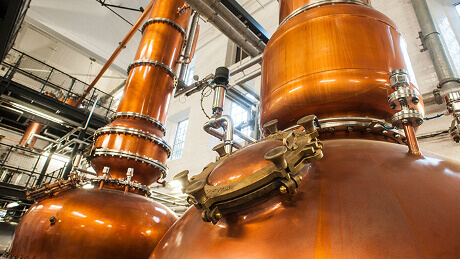 We use up to 12 precious botanicals suspended above the spirit in perforated copper baskets during distillation. That way, as the heated spirit vapours rise, they’re gently infused with all the rich aromatic flavours our botanicals release. While ordinary gins boil their botanicals directly in the spirit to achieve their flavour, the wonderfully distinctive taste of our gin is created using the Vapour Infusion process. We still use our original Carterhead stills – Tom and Mary – from the 1830s, but we have now added two state-of-the-art 12,000 litre copper pot stills – Henry and Victoria – to our refurbished original stills. From the heat of our Moroccan cubeb berries to the spice of our West African Grains of Paradise, every one of our ten precious botanicals are chosen to bring their own special something to our gin. 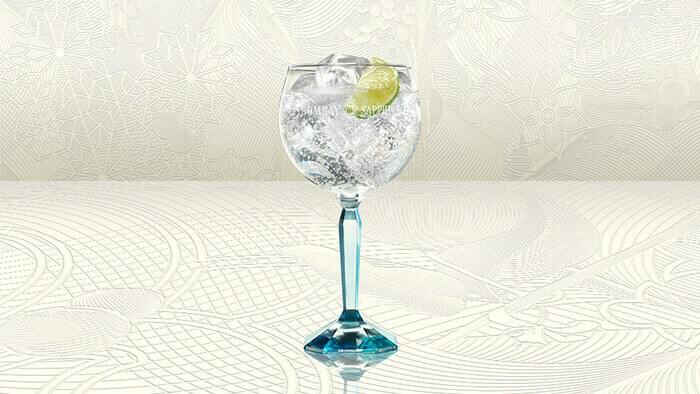 Uniquely distilled, they come together to give Bombay Sapphire its tantalising, smooth and complex taste. Liquorice root has a pleasant, sweet taste that, since it was discovered, has made it a favourite right across the world. King Tutankhamun loved it so much he took a dish of it to his tomb. Today, as our short film shows, we follow in the footsteps of the ancients to find that distinctive liquorice flavour. Many people believe that if you chew Juniper berries, your breath will smell sweet and fragrant. There’s probably no botanical more famous in gin making, and experience counts a great deal when it comes to farming Juniper berries. Watch the film to discover why. With a taste between black pepper and allspice, combined with a hint of bitterness, cubeb is a highly desirable and aromatic botanical found in the heart of the rainforest. We source ours from farms on the hills of Java. Watch our farmers at work, harvesting this rarest of spices. 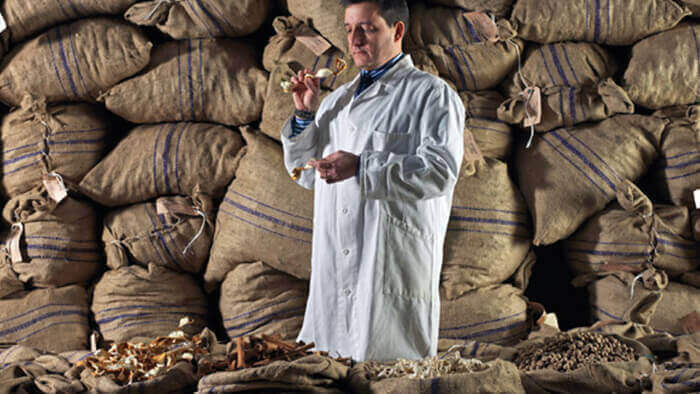 The earthy flavour of Angelica root is vital to the balance of Bombay Sapphire, helping us create our distinctive gin. Grown for us by farmers in Saxony, the roots extend deep into the soil. Watch our short video and see the clever tool that removes the root quickly and cleanly. Almonds, with their unique, nutty, honey taste, have been popular worldwide for years and are an essential botanical in the distilling of Bombay Sapphire gin. Today, the USA is the world’s biggest almond producer. But that’s not the country we choose for our almonds, as our film reveals. Vibrant, fresh and lemony, the unique and highly regarded taste of Coriander was a firm favourite with Egyptian Pharaohs and Ancient Greeks alike. Today, it’s still grown in both Europe and North Africa. 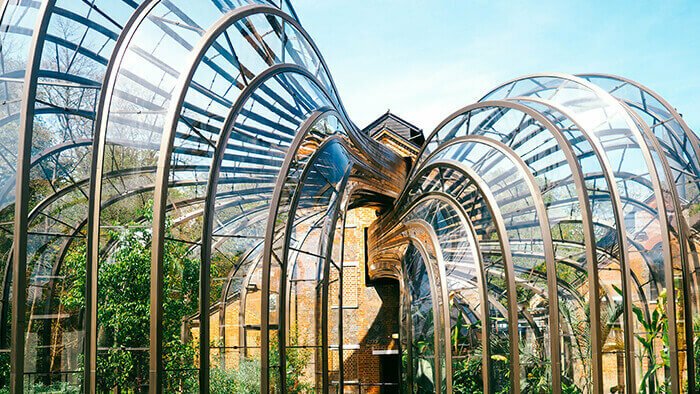 But which region provides the complex flavour so vital to Bombay Sapphire? Our film has the answer. 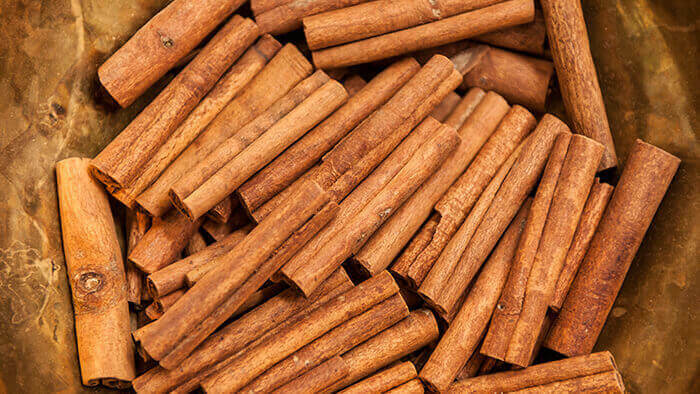 Cassia Bark is part of the cinnamon family, and its aromatic quality explains why it is a chosen botanical at our Laverstoke Mill distillery. Treasured since biblical times, there was once a belief that it had origins beyond planet earth. Discover just how far we travel nowadays to find the finest trees. Orris has long been prized for its sweet-scented and tantalising taste. There is an extensive drying process during which most of the root is lost. And what is left takes its place at our Laverstoke Mill distillery as one of the carefully chosen Bombay Sapphire botanicals. Watch the short film to learn more. The local Spanish farmers who lovingly cultivate lemons for us under the hot Murcian sun have a particular secret that preserves the sweet flavour of the peel. It’s a secret that’s been passed on from generation to generation, and this short film will pass it on to you. This complex, little known spice comes from the cardamom family. It combines an intriguing sweetness with a slow-building, smoky heat. In some regions, it’s used as a chewing spice to ward off the chill of winter. But what does it look like, and where do we find it? Watch the film to find out. The ultimate expression of a quintessential classic.